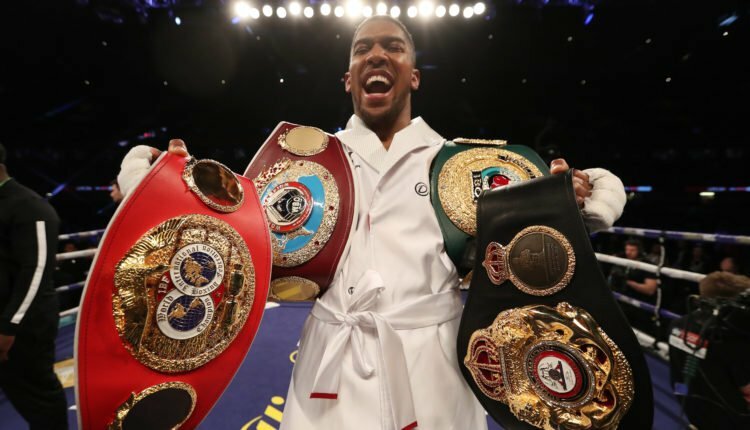 While the WBC have made Dominic Breazeale the mandatory challenger for the heavyweight championship, but Anthony Joshua gets the next crack at either Tyson Fury or Deontay Wilder. “Absolutely, that’s a fight the world wants to see,” Sulaiman told Sky Sports about a potential heavyweight unification fight. “That’s a fight the WBC has just ruled to support. During our convention, a ruling of the mandatory status included the provision of trying to make the winner of Fury-Wilder against Joshua. Joshua and his promoter Eddie Hearn have been in a protracted negotiation with Deontay Wilder and his team, with both sides lobbing blame at the other for not having the fight in September and potentially stifling an April 13th showdown. “To see boxing with 90,000 fans, regardless which country you’re in, has to be a great motivation which shows the moment that is being lived in the UK, in England, with Joshua,” claimed Sulaiman.